See how the sun’s light shines through the icy blue waters of the virgin continent. Please join us on Saturday, May 4 from Noon to 6:00 pm for the Opening Exhibit event for Eve’s new series: “Voyage to Antarctica.” The event will feature live classical guitar music performance by Sean McMahon, potent potables, sweet treats including our “Penguin Punch,” and other surprises! Don’t miss my Grandmother Iris Alfillé’s gorgeous wedding gown now on display in our gallery as part of Eve’s current design series, “Jazz Age“. 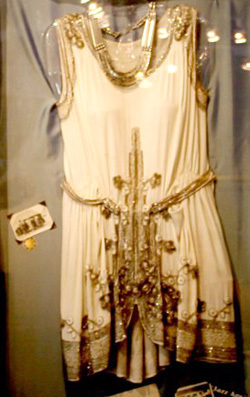 This dress has captured the attention of many gallery visitors, and more than a few have asked to buy it! Of course, that is not an option, it is a family heirloom. Although, at one time it was on exhibit in the Evanston History Center. This picture does not do it justice, it is magnificent! The slip, also on display, has incredible hand embroidery in silk on the front and the back. Her wedding gown has great Art Deco lines and fantastic bugle bead details at the hem, arms, neckline and up the center of the dress from the hem. When you come to visit, look closely at the photo in the display and you will see that the hemline for her wedding was straight across mid calf length. Then look back at the dress and you will notice it was altered after her wedding into a more playful, flapper style. The center of the skirt split (not pictured, but on display) has a split hem with a curved line, making it more wearable for dances and parties. 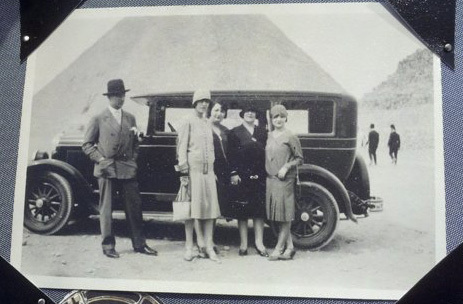 Photo at left: A photo of my grandparents and friends visiting the Pyramids in Egypt after the wedding. Iris is on the far right, (click photo to view larger) check out the wonderful drop-waist coats and the stylish hats the ladies are wearing, a perfect match to their short wavy bob hairstyles. Don’t miss this opportunity to view this fantastic mid twenties outfit and more now on display at Eve J. Alfille Gallery & Studio. They will be coming down for our 25th Anniversary Celebration in October. Save the date for our 25th Anniversary Celebration party co-hosted by Chicago Magazine, Saturday, October 20, 2012 from noon to 6 pm. First 300 get a gift bag! 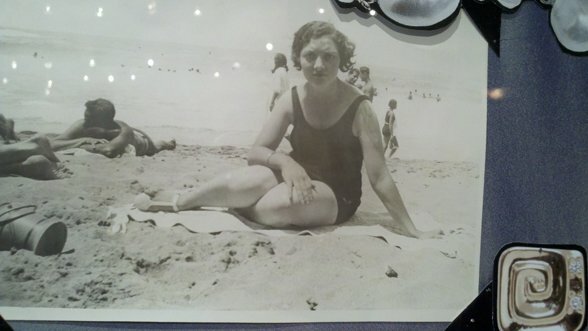 Here she is on the Beach in Cannes in 1927. She has her stylish bob hair do too! Iris Alfille on the Beach in Cannes in 1927. She has her stylish bob hair do too! We appreciate everyone’s support of Eve’s Jewelry! You know its Eve jewelry when . . . .
High Power Compliment – Vogue Editor-in-Chief Stops Client in Park Hyatt Hotel to Compliment her Dramatic & Stylish Eve J. Alfillé Designed Pearls. 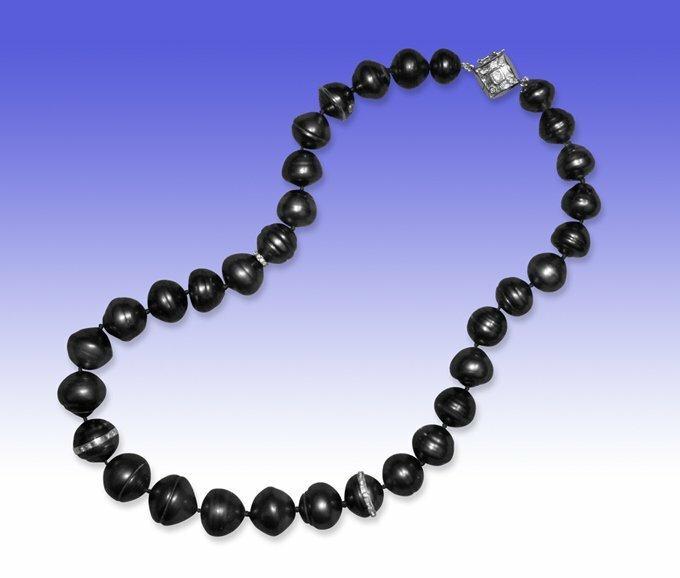 Tahitian Pearl strand necklace with 18 karat white gold and diamond. We often hear of clients traveling in Eve’s jewelry who are stopped by a fellow traveler to ask if the necklace, ring, etc. is “an Eve Alfille?” They may not even learn the other person’s name, but they compare the Eve jewelry they are wearing and share stories about their Eve jewelry. In this case, one of our clients was attending a meeting at the Park Hyatt Hotel a week ago when former Vogue editor-in-Chief Anna Wintour stopped what she was doing and came over to look at her Eve Alfillé designed pearls. This is quite a mighty compliment. “Today I wore my gray pearls with my gray dress.” Our client always dresses beautifully and looks elegant. Drop in for Eve’s Removable Drop Party! Saturday, July 21 from 1:00 p.m. to 5:00 p.m.
RSVP Online below or call (847) 869-7920 – Get Directions | What are Removable Drops? 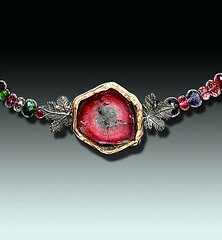 Artist & Designer Eve Alfille will showcase a special collection of removable drops for this event. During the party you will be able to customize your own drops using a selection of Eve’s precious gems and 3 different removable drop styles to dress up your Eve earrings and earwires. 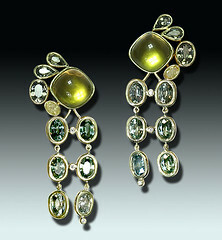 Nothing can change a pair of earrings more dramatically, or easily, than a pair of Eve’s removable drops. 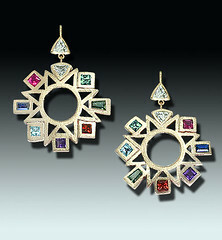 See the pretty gold and diamond “Arabella” earrings? Notice how they take on a completely different appearance when a pair of removable drops are added! 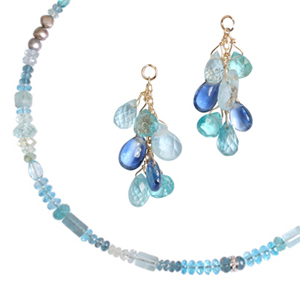 With so many drops to choose from, you can easily create a different look for any occasion or mood! Use drops to better coordinate your earrings and your outfits. Some of Eve’s drops are ready to be worn with your own diamond stud earrings – imagine the possibilities… Your girlfriends will flip! One time only: Bring in a pair of your own gold or silver earrings and we will put Eve’s special hooks onto one pair of suitable earrings for free with the purchase of a pair of drops. 1 pair of free hooks per person with new removable drop purchase. The special hooks will not work with costume jewelry or other non-precious metals. Notes: some earring designs do not allow for the addition of drops, so perhaps you can bring in a couple of pairs from which to choose. Also, stud earrings do not need special hooks, removable drops with a few links or a little chain at the top will work well with your stud earrings – like on diamond stud earrings. Drop in and have fun! !